March is a special time on Southern Oregon’s Chetco River. 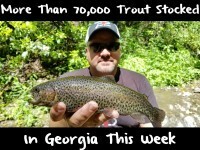 The crowds are gone, the days are a little warmer, and there are still steelhead to be caught. In fact, some of the highest-number catches of the season can occur during the last few weeks of the season, as large numbers of spawned out steelhead are still in the system, while fresh, bright fish continue to trickle in. 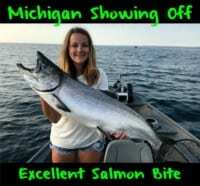 March is also when the “blue backs” arrive, smaller 22- to 24-inch steelhead that eagerly bite almost anything that comes drifting by them. This year, with a dry start to the season and then large amounts of rain in the past few weeks, the steelhead bite on the Chetco may last right up to closing day. Peak season on the Chetco is the last week of December through February. By mid-February, we start to see increasing numbers of “downers,” spawned out steelhead that rest in the slower water and slowly make their way back to the ocean. These steelhead, while no longer very good on the barbecue, are still great fighters, and often willing biters as they hungrily gobble up any food they can find in the river. Along with those downers are bright fish that are still moving upriver to spawn. Big wild steelhead make up much of the latter portion of the run. It’s not uncommon to see fish in the high teens, or bigger, as the season wanes. During the peak season on the Chetco, crowds are common, especially on the lower river. It’s not always a pleasant fishing experience when a dozen boats are working a single flat. In March, you may not see another boat. There may be few fish in the river, but without pressure from other anglers, you have any easier time getting your bait in front of the biters, and can rack up impressive catch totals. You will have more “first water” and more time to work tailouts or riffles that have fish in them. Like the rest of the season, I typically use small clusters of roe cured with Pautzke’s Natural BorX O Fire in March, but also will use pieces of night crawlers combined with a single Pautzke Balls O Fire salmon egg. There are going to be fewer hatchery hens with eggs this time of year, so the supply of fresh roe has been diminished as the season winds down. But half a night crawler combined with the single Pautzke egg is just as effective, perhaps even more so on “downers” or blue backs. Editor’s note: Guide Andy Martin runs Wild Rivers Fishing (www.wildriversfishing.com) in Brookings. 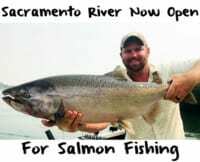 Aside from steelhead on the Chetco, he also targets Rogue River spring king salmon and ocean lingcod and rockfish this time of year.